Are you one of the crazy people who are always need to try new things on the system? Here, you need to know something before you can do that. 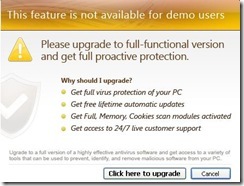 You may already know about these days Fake Antivirus are spreading around the Internet. 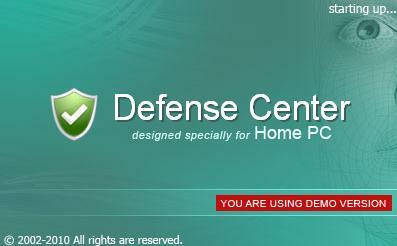 Now for the Fake Anti-virus list there is a new entry called “Defense Center” Anti-virus entered to that list. 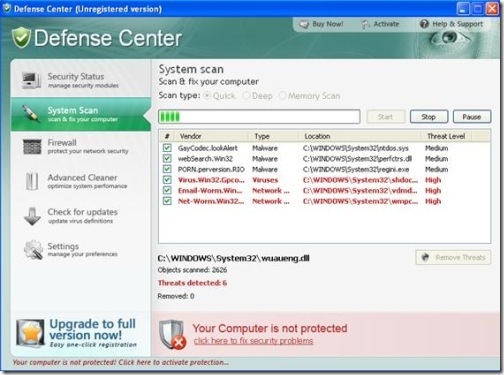 Panda Security first detected it on June 29, 2010 and now they are announcing DefenseCenter Anti-Virus has a Fake Anti-virus. This Defense Center Antivirus spreading through Pop-up ads and banner ads which you can see on various website while browsing. 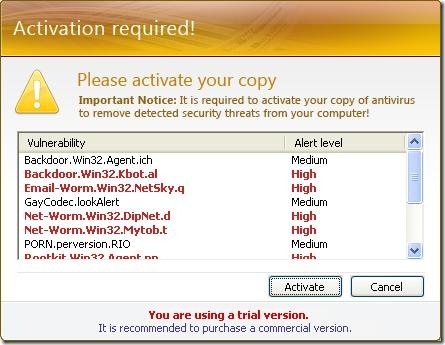 To remove those virus (fake) detected by antivirus, you will be prompted to buy License Key to Remove it. When you click on the the Purchase License option it will take into there website which is having SSL certificate to gain users confidence. Apart from this, there are some minor effects also causes to your system after installing Defense Center Fake Antivirus in your system. Some of them are It disables your task manager, tries to disable original Antivirus which you have installed on your system, showing fake pop-up warning messages that your system is infected with virus and forcing to purchase License Key. 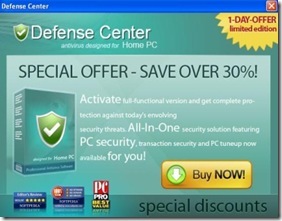 So, if you already downloaded Defense Center anti-virus then you need to remove it now. 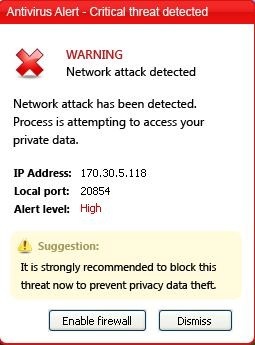 If not yet, please be aware of this kind of fake antivirus. Never install unknown Anti-virus. Always use trusted anti-virus in your system, I recommend Kaspersky Internet Security Antivirus. yaa one year ago automatically such anti virus software get installed on laptop . do i use the spyhunter? For what purpose? If it is for protecting your computer then use Malwarebytes or superantispyware. Both software are available in free and premium versions.